We offer both residential and commercial services to the city of Mehama. To find out if we service your location please use the online tool at the link below. QUESTIONS? – If you have questions or would like to start service please e-mail us or call 503-393-1031. 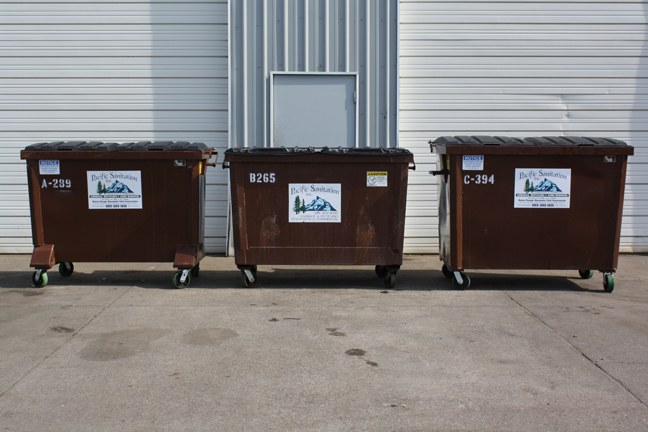 We offer a variety of service packages with garbage service tailored to meet your specific needs. Service packages are designed by local government to encourage recycling by providing the largest possible roll cart for recyclables. The whole package rate is based on the size of garbage cart you choose. Packages include weekly service of the garbage, every other week service for the recycling. At time of delivery, you will receive a handy color coded calendar that tells you which week to put out your recyclables. We also offer an on call service in which we supply a 35 gal cart only. Priced per dump. Call our office when you need a dump. For off curb pick up of garbage cart add $13.27 per month. For off curb pick up of Recycle cart add $6.64 per month. Service Guidelines – All cans and carts must be at the curb by 6:00am on collection day. Please tightly seal any light weight items such as packing peanuts and tissues to prevent blowing. Please observe applicable weight restrictions per container 60lbs. per 35 gal., 120lbs. per 65 gal., and 180lbs. per 95 gal. 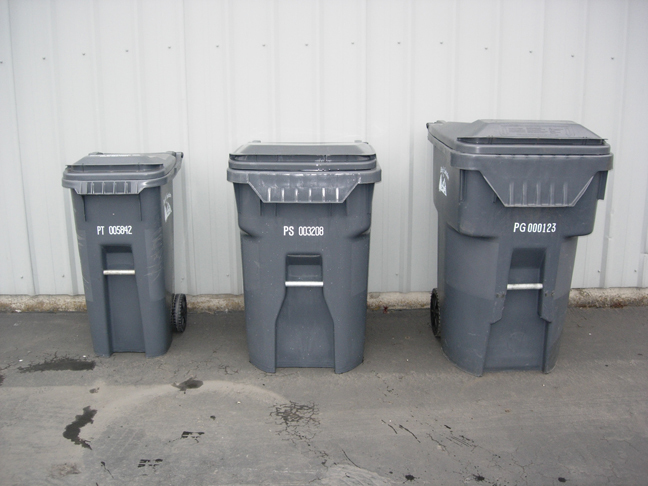 The rates for service are based on the size of the garbage container; overflow will result in extra charges. Computers. We are able to collect these items up separately. Additional charges may apply. Call our office for details, at 503-393-1031. 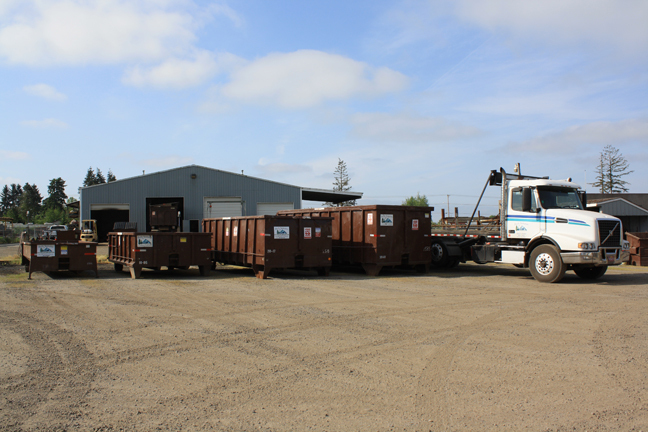 For industrial-size jobs like roofing, construction and large clean-ups we offer a variety of drop boxes, or Roll off containers. They are available in 4 different sizes 6, 10, 20, and 30 yards. Rates for service include one dump and 4 days rental (not including the day of delivery). We also offer special rates for clean loads of wood, yard debris or materials such as concrete, bricks, etc. Drop boxes have doors on the back for easy loading. All boxes have a load-weight limit of 15,000 lbs, and must be no more than level-filled. Items cannot extend above the top rail of the box. Prohibited items include: Appliances, tires, batteries, paint, liquids, computers, and TVs. We are able to collect these items separately. Additional charges may apply. Call our office for any additional information and drop box prices, 503-393-1031. 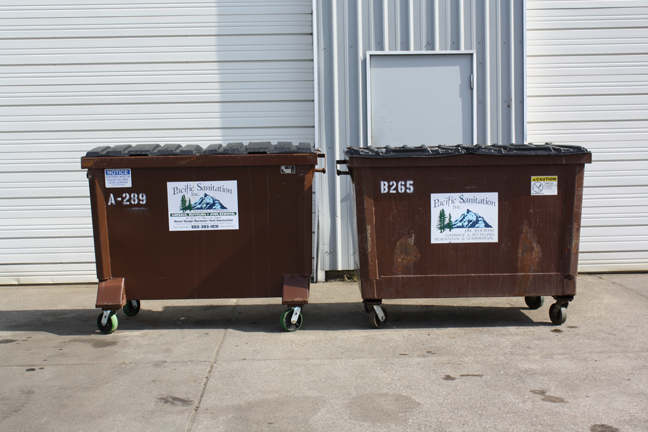 Your service package includes a 95 gallon blue cart for Mixed Recycling. Your recycling is collected every other week. We will provide you with a convenient color coded calendar that tells you what week to set it out. 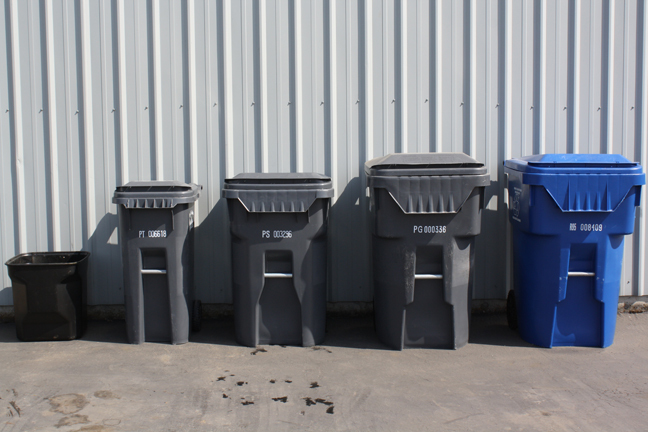 Even if you’re not a regular garbage customer you may be able to take advantage of curbside recycling for a small monthly fee.